SORRY NOW SOLD. MORE REQUIRED. 1 P/LADY OWNER FROM NEW WITH 42,000 MILES. 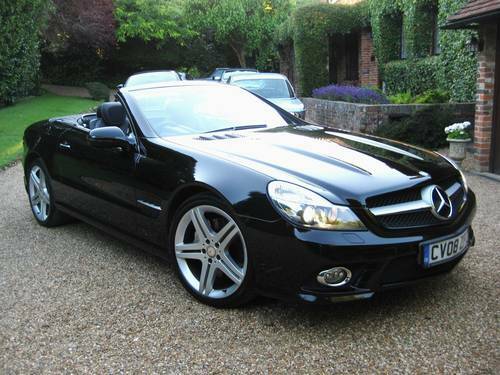 MASSIVE SPEC SL350 AMG Sports finished in Obsidian Black Metallic with full black leather, silver contrast stitching & aluminium interior trim. 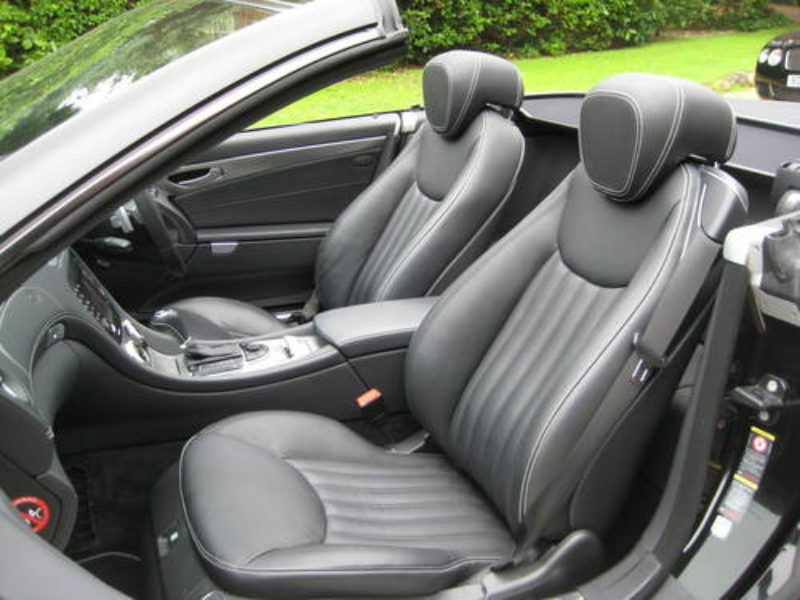 Specification includes AMG Bodystyling, Sports package with 19″ twin spoke alloys, panoramic glass roof, Harman Kardon surround sound system, Comand Satellite Navigation System, telephone pre-wiring with hands free, electric heated front comfort seats with driver & passenger memory settings, sports leather multi function steering wheel with gearshift paddles, 7G-Tronic auto with Tipfunction & Speedtronic cruise control, luxury auto climate control, Designo black fabric headlining, electric folding mirrors, front & rear Parktronic, Bi-Xenon headlights, wind deflector, fitted TRACKER system, fitted MB carpet mats etc. 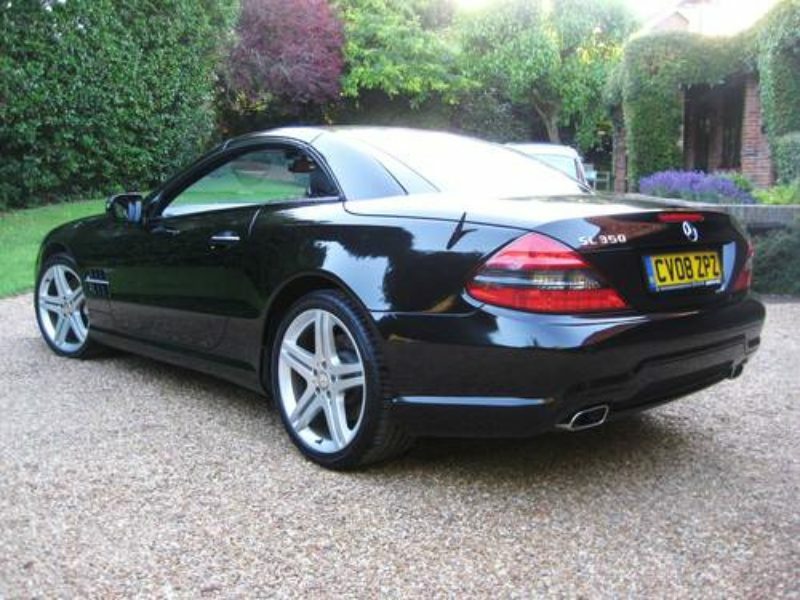 Cost new in excess of £72k with over £8k of optional extras. 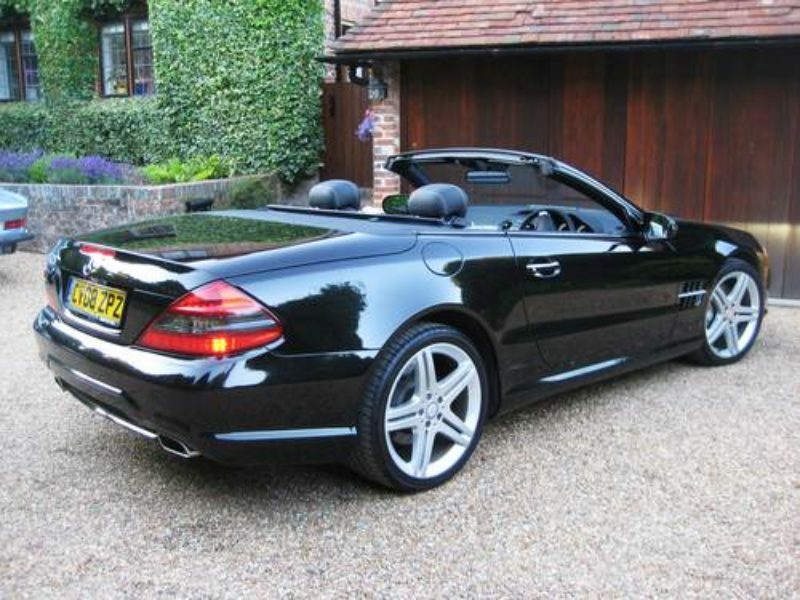 Supplied & fully serviced every year by Mercedes Benz of Epsom Surrey. Having been serviced at 7349, 15530, 24793, 31144, 36858, 38820, 40425 & lastly just been done at 41292 miles all by Mercedes Benz main agent. Complete with fully documented history file, owners book pack + both remote keys. 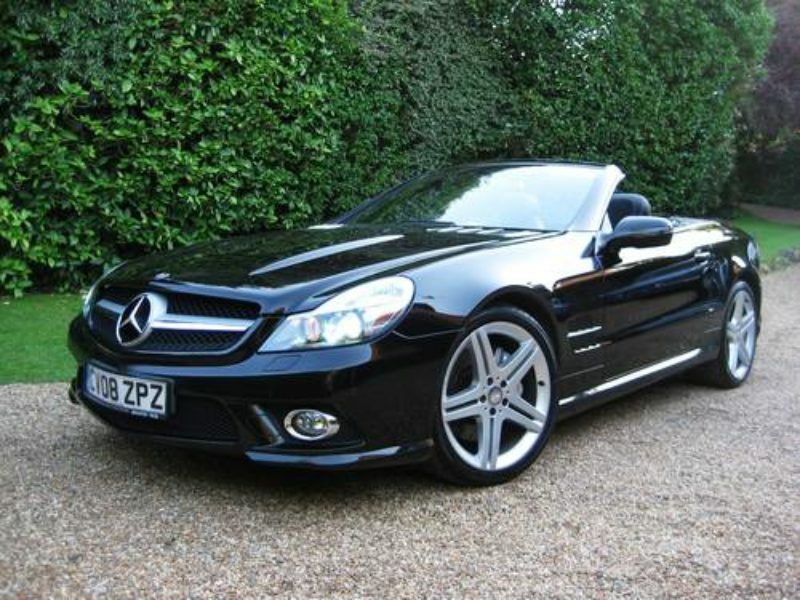 THIS IS AN ABSOLUTELY STUNNING LOOKING HIGH SPEC EXAMPLE WITH FAULTLESS MERCEDES BENZ MAIN AGENT HISTORY.